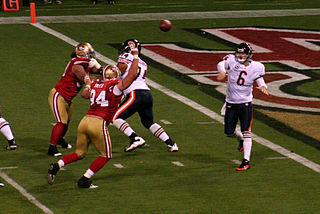 Jay Cutler showed great poise in the Bears’ 28-20 victory over San Francisco Sunday night. Down 17-0 with two minutes left in the second quarter, the Chicago Bears seemed destined to do something that they haven’t since 2003: start the season 0-2. Given the score, and the fact that the Bears hadn’t beaten the 49ers in San Francisco since 1985, the chances of a comeback seemed bleak. With one simple pass and catch, the entire complexion of the game changed. With 13 seconds left in the half, Jay Cutler found Brandon Marshall, who reached high into the Santa Clara sky to snag the 17-yard pass from Cutler, giving the Bears life. And they never looked back. Two more touchdown passes to Marshall, sandwiched around a touchdown pass to Martellus Bennett, helped give Chicago their biggest victory of the Jay Cutler era. It’s been a long five-plus seasons for Bears fans. All the great starts only to end in disappointment of another missed playoff berth has been hard to sit through. Every preseason, we hear that Cutler is looking great, the offense is looking great, and that this is going to be the year the Bears finally take that next step. Yet, in the three years since their NFC title game appearance, Chicago has been nothing but average: 8-8, 10-6, and 8-8 with no playoff appearances. 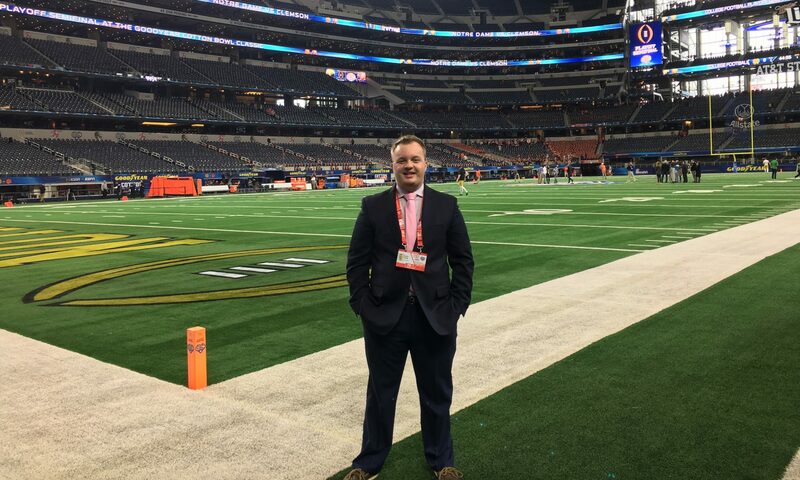 In fact, since the Bears lost Super Bowl 41 to the Colts, they’ve only been to the playoffs once. That’s seven out of eight seasons with no playoff football in the Windy City. Not so good for a franchise that has the second most NFL championships (including pre-Super Bowl titles). One of the main players that has received scrutiny over these past three seasons is Jay Cutler, and with good reasons. Since arriving to Chicago in 2009, he has only beaten the Green Bay Packers once, which was a regular season victory in 2010 where Green Bay had 15 penalties. Last season’s regular season finale was also tough to take, as Cutler finally played a good game against Green Bay (he only had one interception, which was the hail marry attempt at the end), but the defense let him down, as the Packers won the NFC North division title in Chicago. But it’s been more then just his play against Green Bay. Cutler is known for having a very strong arm, which sometimes tends to backfires on him. His decision making at times leaves fans scratching their heads as well, as his irrational play has led to some bad losses in recent years. His demeanor and toughness has also been questioned. Mainly, the way he appears on the sidelines is that he’s just not interested in the game. Everything that happened with the NFC Title game, from his facial expressions to never getting a full explanation as to why he wasn’t playing, irked a lot of fans as well. But maybe last night was a sign of change for the gunslinger from Vanderbilt. Last night, Cutler didn’t panic when the team went down 17. He didn’t seem stressed when the offense was going nowhere for most of the first half. He kept his cool, stayed in the system, and just played football. You didn’t see Cutler force any passes into triple coverage, hoping that Marshall, Bennett, or Alshon Jeffrey would go up and make a catch. Instead, you saw Cutler stay poised in the pocket and make the smart football play, which is something he tends not to do. The patience and confidence Cutler showed paid off. The Bears were able to score late in the first half to give them life. Then, the Bears seemed to finally be having fun playing football again. And that changed everything. A lot has to be credited to the way the defense played last night. After allowing those 17 points, they completely shut down the 49ers, holding them to only a field goal. The pass rush looked great, as Willie Young and Jared Allen were a two man wrecking crew last night. Chris Conte had an incredible interception in the second quarter before getting injured later in the game. And Kyle Fuller, the first round pick from Virginia Tech, showed us what the future holds, picking off Colin Kaepernick twice in the second half, with both turnovers leading to Bears touchdowns. But to me, the story is Cutler. While he only threw for 176 yards on the day, those four touchdowns were huge. And, the biggest stat of them all: no turnovers. Cutler didn’t have to throw for 400 yards for the Bears to win, and he knew that. Chicago played a clean game all around, and it led to one of their biggest wins in recent memory. If Cutler can take what he did Sunday night and use it for the rest of the year, something very special could come out of this 2014 season for the Bears. I’m not saying Chicago will be hoisting the Lombardi trophy in February, but Sunday night might have been a glimpse into a nice looking future.